Although we are barely into the second quarter of 2016, the year has already seen its share of nonprofit organizations and key charity-run programs across the country fold due to unrealistic fundraising goals, poor management, and stagnant board leadership. Depending on whom you ask, the Southern Ute Cultural Center and Museum may have been destined to end up on that list of casualties all along. 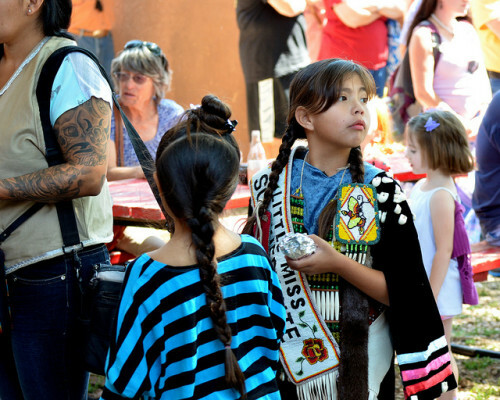 Showing off a new tribal-funded, beautifully appointed place to call home, the Southern Ute Cultural Center and Museum’s relaunch in 2011 was not only off to a great start, the nonprofit was the belle of the ball in the West. The facility, which housed rich historical permanent exhibits on the history of the Ute people, including oral narratives, important flora and fauna, and scholarly archives, was declared by True West Magazine in 2012 as the “top history museum of the year.” It looked like the Colorado sky was the limit. After the re-opening in 2011, the Tribe had an agreement to subsidize the museum for the first five years in the new facility. During the time it was being subsidized, the museum had hoped to gather donations to operate independently, setting a five-million-dollar, five-year fundraising goal, which the staff failed to meet. Talks to renew the deal for crucial financial support between the museum and the tribe after the five-year mark failed to materialize last fall. The Tribe moved forward with a dissolution agreement for the nonprofit, allowing the tribe to take control of the building and contents. Smithsonian representatives visited Colorado this month to retrieve loaned items from the museum and some locals have been making moves to have familial items loaned to the museum returned while navigating alleged poor record keeping of ownership of some of the early loaned and donated pieces. Michael McLachlan, the museum’s hired attorney from 2002 to February 2015, claims the real political battle has always been about having a tribal member hold the position of museum director. Shirley Cloud-Lane was the most recent; she is native and part Southern Ute, but not a tribal member. Critics claim tribal museums are not self-sustaining and the tribe should offer continued support. Even without the entanglement of tribal politics, running a museum in 2016 is not for the faint of heart. Since the 2008 recession, even longtime flagship intuitions such as Detroit’s Charles H. Wright Museum of African American History and the Detroit Institute of Arts have both been at risk of closure in the past few years due to their own financial issues and fallout from the city of Detroit’s bankruptcy. There is also the building housing the collections to consider, as historically museums struggle with high fixed costs. These become Achilles’ heels when endowments dry up and revenues slip. Today’s museums also have to battle to stay relevant in modern cultural, entertainment, and tourism markets. They have more competition than ever before in every way. There are even more museums. In May 2014, NPQ reported that there were 35,144 museums in the United States, which is more than double the estimate from the 1990s. With the city’s housing costs spiraling out of control and many nonprofits being squeezed out of rental spaces, the reopening of the Fillmore Heritage Center as a mixed-use space offers a glimmer of hope.